As predicted by web gurus everywhere (present company included), the latest web design is looking far less flash-y and far more Html5-y. The most recent version of Html, Html5 provides professional web designers with some great new features, including form controls, APIs and dragging and dropping. Its multimedia features allow website designers to embed video and audio and create high quality drawings, charts and animation without the plugins and third party programmes that were previously needed. Unlike flash, Html5 is supported by Apple mobiles and macs. And with smartphones and tablets predicted to outsell computers, businesses are wising up to this growing mobile market and ditching purely flash-based websites. With support from CSS3, Html5 is being used to create some fantastic results. The latest and greatest CSS offers more flexibility than its predecessor, and it incorporates lots of time savers, like multiple backgrounds, border-radius, border-image and multi-column layouts. And website designers across the globe are using this combination as a recipe for success. Enjoy our pick and mix of great Html5/CSS3 web design, below. 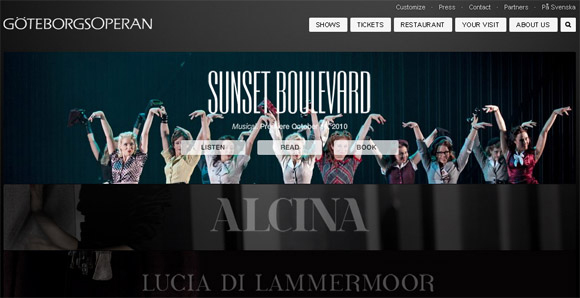 The Gothenburg Opera’s website is a sophisticated example of Html5 and CSS3 programming. Its fast loading pages and menus offer sound, video and photographic examples of upcoming shows and venues. 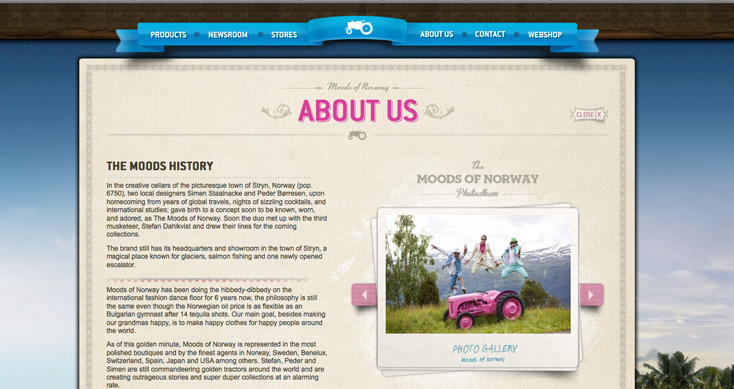 Moods of Norway is a playful clothing website, using Html5 and WordPress. Its beautiful design works flawlessly on the iPad.